We always look forward to receiving press releases about up-and-coming country artists we enjoy. Temecula Road hit the top of our “favorite newcomer” list quickly. In fact, the first time we heard them cover one of Carrie Underwood’s hits, we were hooked. Today, we learned that the trio has been nominated for a Radio Disney Music Award for Best New Artist. They have definitely been keeping busy since the first time we wrote about them. Check out the press release below to see what’s been going on with Temecula Road. [Press Release] Country music’s hottest new trio Temecula Road has been very busy this year, touring, launching the video for their new song “What If I Kissed You” and finishing up new music in the studio due out later this year. The band will hit the Radio Disney Music Awards red carpet this Saturday, April 29th, as first-time nominees in the “The Freshest! – Radio Disney Country Best New Artist” category, putting them in great company alongside Lauren Alaina, Maren Morris, Old Dominion and RaeLynn in the category. The 2017 Radio Disney Music Awards airs on Disney Channel, Sunday April 30 and be sure to check out Temecula Road singing a compilation of “Play It Again! Radio Disney Country Favorite Song” Nominees HERE. Adding to their whirlwind April lineup, the trio will be heading to the iconic Stagecoach Music Festival in Indio, California on Sunday, April 30, where they will be sharing the bill with fellow country artists and musical influences, Maren Morris, Dan+Shay, Brett Eldridge, Thomas Rhett, Kenny Chesney and many more. Called out by The Huffington Post as one of the top country artists to watch in ‪2016, Temecula Road‪ (comprised of sisters Emma and Maddie Salute and longtime friend Dawson Anderson) spent last year opening for Martina McBride, Josh Turner, Joe Nichols, Sara Evans, Eli Young Band and Love And Theft and joined Jessie James Decker on a nationwide, sold-out tour before hopping across the pond in 2017 for several shows as part of the ground-breaking C2C Festival. Their covers have earned praise from Carrie Underwood, Brett Eldredge, Dan + Shay, Cam and RaeLynn. 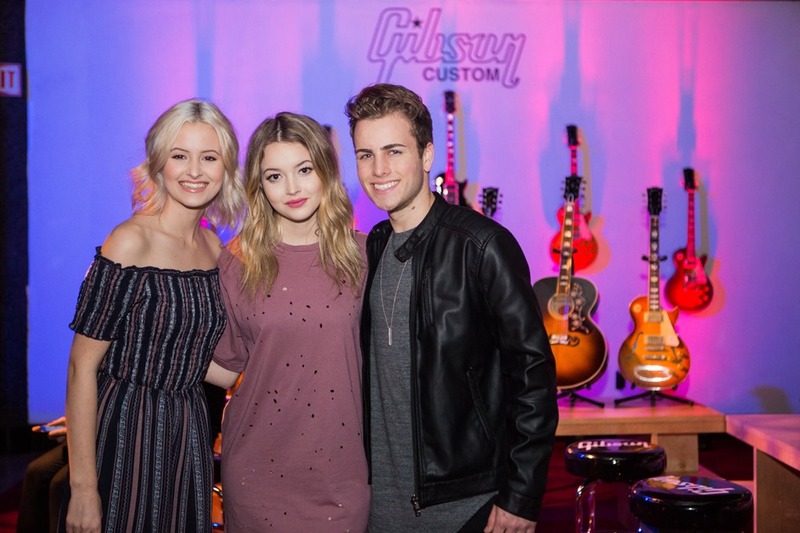 The group is featured weekly on Radio Disney Country’s social media giving fans a behind the scenes look at their lives as musicians on #TemeculaRoadTuesdays. Named after the town they grew up in, they just released their first single/video, “What If I Kissed You” (written by Jimmy Robbins, Sara Haze and Mike Daly). In addition to their website, visit Temecula Road’s Facebook page, and please remember to “Like” it while you are there. They have several other social media links listed on their website as well, so check those out when you have a chance. 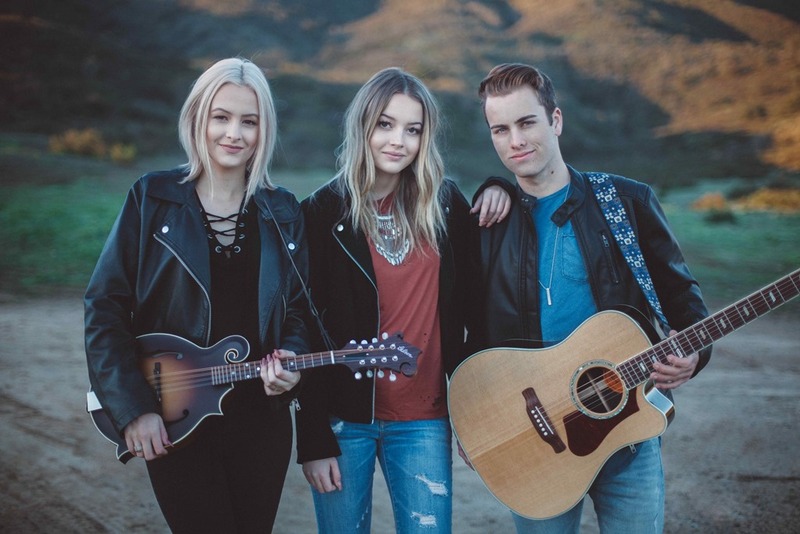 And, you can follow them on Twitter @temecularoad. If you aren’t already following Country’s Chatter on Twitter, we’d love to have you. You will find us @countryschatter. Going to close this post with one of our favorite videos from Temecula Road. Listen to the top country hits of 2016, in 3 minutes.